Many dream of achieving their goals. Some have enough grit to pursue them. A handful have the tenacity to risk it all in order to live their dreams, if only for a day. For Arkansas Tech University football student-athlete C.J. Johnson, that day was Oct. 27, 2018. Prior to that fateful afternoon at Paul Laird Field in Durant, Okla., Johnson had appeared in 10 career games over two seasons at Arkansas Tech and had been credited with four tackles. An injury to regular ATU starting linebacker K.J. Reid opened the door for Johnson to be among the starting 11 on defense when the Wonder Boys faced Southeastern Oklahoma State University. With only three weeks remaining in his senior season, it was the opportunity Johnson had been pursuing since his dreams of gridiron glory were born on the flag football fields of his youth in Hattiesburg, Miss. Johnson was integral in Arkansas Tech building and maintaining a 10-6 lead as the fourth-quarter clock approached double zero. He had made eight tackles, twice his career total coming into the day. Then came the final meaningful play of the game. Southeastern Oklahoma State quarterback Rollin Kinsaul delivered a fourth-down pass across the middle in hopes of connecting with a receiver. Those hopes were dashed and the Wonder Boys’ first road victory over the Savage Storm since 1992 was secured when Johnson collided with the intended receiver and broke up the pass with 40 seconds remaining. But there was very little celebrating on the Arkansas Tech sideline. Everyone close to the play knew something was terribly wrong. “The first thing I remember is opening my eyes and not really being able to move anything,” said Johnson. Brett “Duke” Waldon, head athletic trainer at ATU, raced onto the field to provide care to the fallen Wonder Boy. Soon after came local emergency medical technicians, an ambulance and a trip to nearby AllianceHealth Durant hospital. Many times these procedures are precautionary in nature. This was not one of those times. Within eight hours of the final play at Paul Laird Field, Johnson was flown to Little Rock to receive advanced care at the University of Arkansas for Medical Sciences. He had suffered an injury that doctors later stated can lead to paralysis. The surgery performed at UAMS by Dr. David Bumpass restored Johnson’s ability to walk. Physical therapy and the support of his family in the months since has allowed him to regain his strength. “I feel pretty good,” said Johnson when asked how he is doing five months later. Persistence allowed Johnson to live his dream on Oct. 27, 2018. It was that same quality that allowed him to walk on a football field in his Wonder Boys’ uniform one last time. Arkansas Tech celebrated its senior football players before the final home game of 2018 on Nov. 3 at Thone Stadium at Buerkle Field in Russellville. One-by-one, they walked to midfield and received congratulations for their efforts. Johnson began his journey to midfield in a wheelchair. Then, with about 20 yards to go, he rose to his feet and walked the remaining distance…one week after he nearly lost the ability to ever do so again. An electrical engineering major at ATU, Johnson is on pace to earn his bachelor’s degree in May 2020. “It’s been a tough major, but my professors and the head of the department have worked with me, even before my injury, to make sure I understand things,” said Johnson. He plans on pursuing a career in the energy industry with an eye toward becoming an entrepreneur. It all poses one question: was it worth it? For Johnson, the answer is yes. 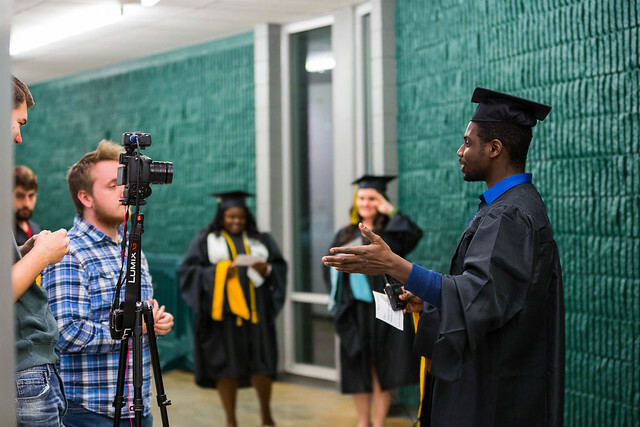 For some, the anticipation of commencement ceremonies at Arkansas Tech University on Saturday, Dec. 15, was overwhelming. 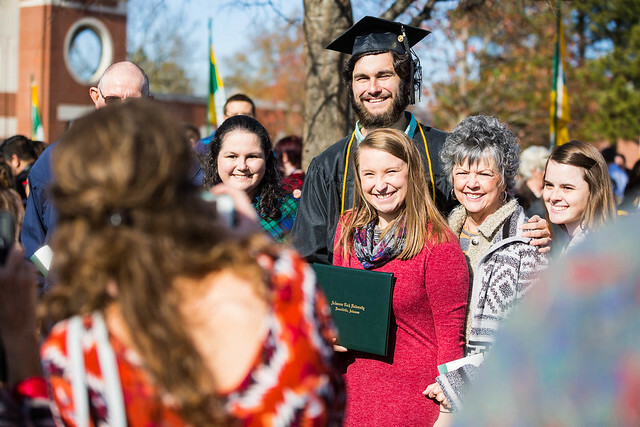 Thommen’s degree was one of 1,146 academic credentials received by ATU graduates during ceremonies closing the fall 2018 semester. He originally intended to be a nuclear physics major, but he switched along the way and received his Bachelor of Science degree in geology on Saturday morning. Thommen pointed to geology faculty members Dr. Jason Patton, Dr. Michael Davis and Dr. Jacob Grosskopf as the most influential mentors during his studies at ATU. Originally from Salisbury, Conn., Thommen said his first choice is to remain in Arkansas to begin his career, possibly with the state government or an environmental consulting agency. Anna Holt also knows about perseverance. A family illness and a subsequent desire to remain close to home were among the reasons she chose Arkansas Tech. The support network she found on campus helped her persist to earn a Bachelor of Science in Mechanical Engineering degree. Holt described mechanical engineering faculty members Dr. John Krohn and Dr. Ehsan Hosseini as being “understanding and patient” in helping her achieve her academic goals. She has accepted a job as an engineer for Plastic Ingenuity Inc.
Margaret Whitfield hopes the Bachelor of Science degree in hospitality administration that she received from ATU on Saturday provides other non-traditional students with confidence. Whitfield began college in 2003. After shepherding her children to their teenage years, she enrolled at Arkansas Tech and met hospitality administration faculty member Susan West. Whitfield has a career goal of working in hotel management. Karmen Stephens’ career path will begin as a supervisor in training for Tyson Foods at its Dardanelle facility. She earned that opportunity by completing the ATU Bachelor of Science degree in agriculture business with an emphasis in animal science. Stephens, who is from Little Rock, was one of seven fall 2018 ATU graduates who completed the steps necessary to earn the Tradition Keeper designation from the ATU Alumni Association. As a result, she, Angela Barraza, Bailey Harris, Jaelyn Herrera, Ty Reasnor, Hannah Simmons and Esther White wore special green cords during their commencement ceremonies. Nate Robertson chose an even more personal accessory for his graduation regalia. A product of Paris, Robertson received his Bachelor of Science in Mechanical Engineering degree on Saturday morning while displaying a message atop his cap that shared the philosophy that propelled him to commencement day. It read: you only fail when you stop trying. Arkansas Tech University Homecoming 2018 provided students, faculty, staff, alumni and friends with an opportunity to celebrate ATU and its traditions Oct. 15-20. Highlights from the week included the crowning of senior Blair Miller of Woodlawn as the 2018 ATU Homecoming queen and the selection of junior Aubree Snow of Berryville as the winner of the 2018 Tech’s Got Talent competition. Links to Homecoming videos and photos from throughout the week are listed below. 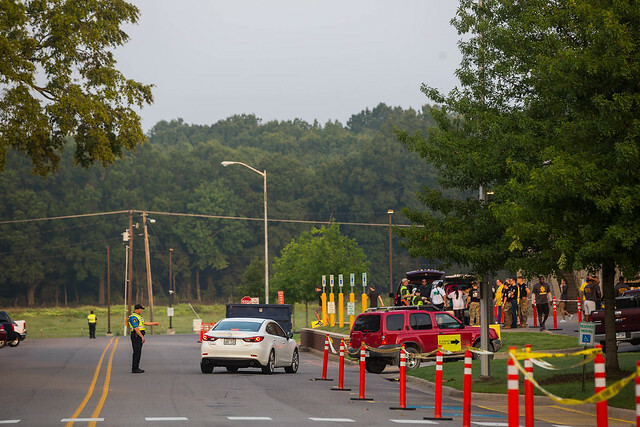 More than 2,000 Arkansas Tech University students began the process of making their residence hall rooms and on-campus apartments a home away from home on Sunday, Aug. 19, during move-in day 2018. 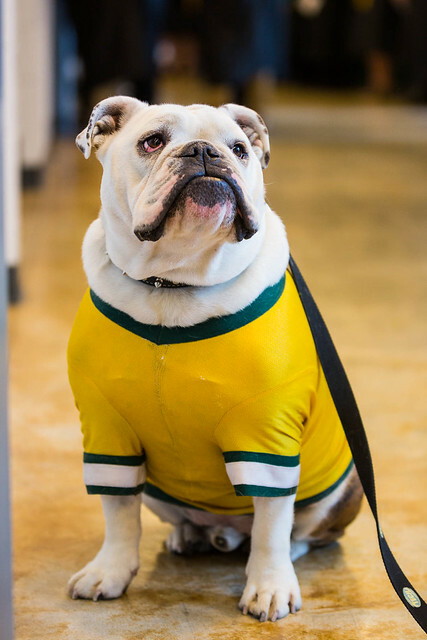 There to greet them were faculty, staff and 330 student volunteers who comprised a move-in crew that assisted families and welcomed them to the ATU community. Welcome Week 2018 activities at Arkansas Tech will continue through Saturday, Aug. 25. Arkansas Tech University confered approximately 900 degrees and other academic credentials during fall 2017 commencement ceremonies at John E. Tucker Coliseum in Russellville this weekend. The 10 a.m. ceremony on Saturday, Dec. 16, included candidates from the College of Arts and Humanities, the College of Business, the College of Education and the College of eTech. Individuals graduating from the College of Engineering and Applied Sciences, the College of Natural and Health Sciences and those earning an associate’s degree received their degree during a 2 p.m. ceremony. Photos and videos from the ceremonies may be viewed below.